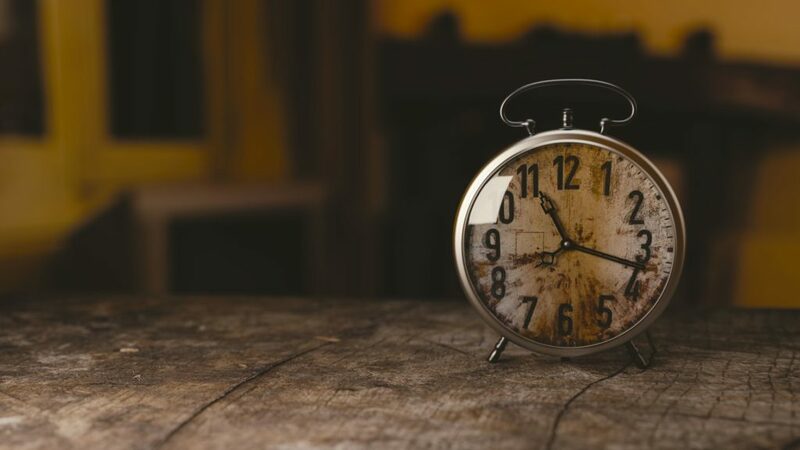 This article is all about time and it is about time that you read it. I have searched a bit and found a few unique pieces that can help you keep track of time and organize your day. I’ll start with a classic piece. 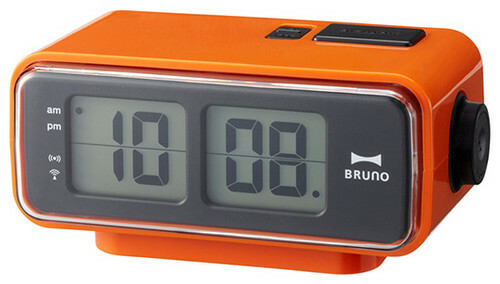 This lovely clock from IKEA represents the basic form of an alarm clock that you might have seen in movies. With its simple form, black color and delicate lines, this is a clock suited for any place and time. 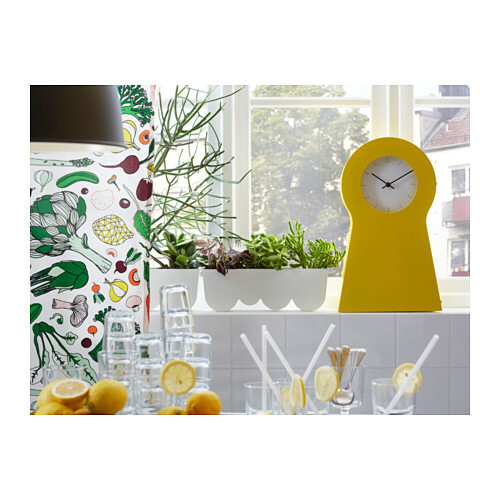 This clock, still from the IKEA website, is a modern and bright piece of furniture that will brighten up your every day. 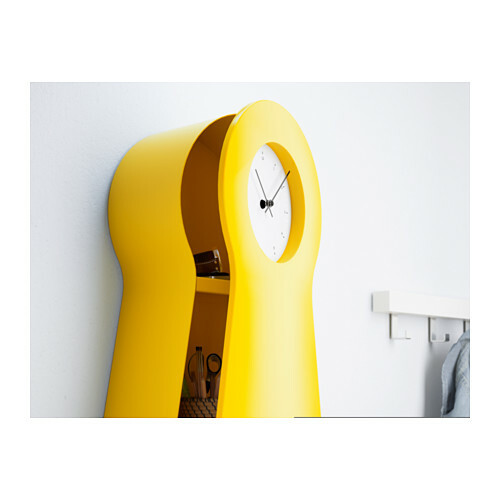 With a gorgeous bright yellow color, a modern and simple design and a second function of storing small things, this clock can be a beautiful addition to any room. This one is a double feature, as it comes in sets of 2. 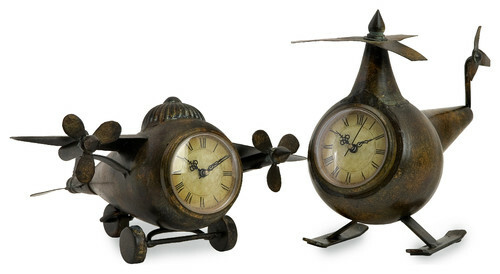 These vintage clocks resemble a set of helicopter and airplane toys that remind me of old times and simple childhoods. 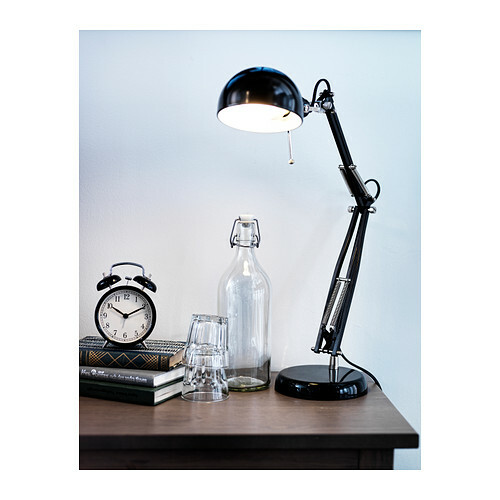 Perfect for a classic, vintage or even industrial look, these clocks can be as playful as they can be elegant. I choose this piece because I have never seen this design before and I consider it to be unique and beautiful. How many of you can admit to have encountered a floor clock? 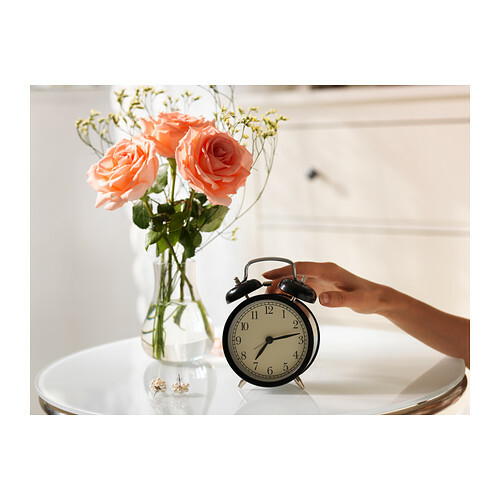 Well, set up on a tripod this industrial looking clock can fit in any corner of the room and it will certainly be something your guests will talk about. Another apparition inspired from the movies and which has caught my attention and has made me want it is this retro digital flip clock. Right from the Houzz website, this type of clock comes in 3 colors and it is also a beautiful piece of memorabilia for the fans of old movies. 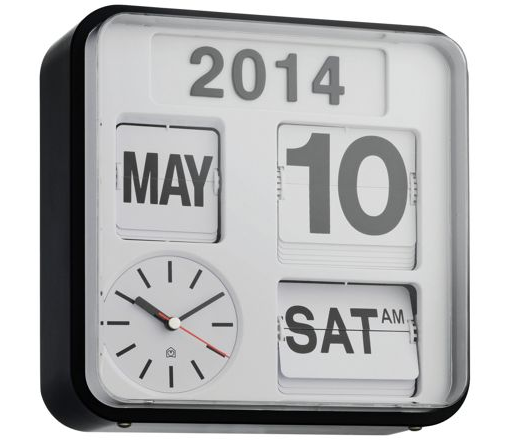 A variation of the retro digital flip clock, this time a wall version is the habitat flap analog wall clock. This one comes from the Argos website and it not only shows the time but also the date with a flip style that will make you never forget a date. Today’s featured image comes from Monoar Rahman at Pexels.